One perfect record has to go & which forward will score the 200th? Liverpool face PSG in the Champions League tonight; here are all the best of the pre-match facts and stats involving the sides. PSG are one of 10 French teams that Liverpool have faced in European competition. In 14 Anfield clashes with teams from France Liverpool, have won 11 with one draw and two defeats. The losses came at the hands of Marseille in 2007 and Lyon in 2009. No Liverpool player has ever scored a hat-trick against a club from France. Only one of Liverpool’s 13 red cards in Europe have come against a French club – Igor Biscan at Marseille in 2004. Liverpool are unbeaten in 11 opening group games of a European campaign (seven wins and four draws) since losing at Valencia in 2002. This is the first time since 2009/10 that Liverpool are playing a second successive Champions League campaign. Roberto Firmino has scored 12 times for the club in Europe. Only nine players have scored more for the Reds. His next goal will see him join Jimmy Case and Emile Heskey on 13. Firmino and Mo Salah have 11 goals for Liverpool in this competition. Only four players have scored more in the European Cup/Champions League: Steven Gerrard (30), Ian Rush (14), Terry McDermott and Dirk Kuyt, who both netted 12. Adam Lallana‘s first European goal for Liverpool came almost 3 years ago to the day against French opposition, netting in the 1-1 draw in Bordeaux. 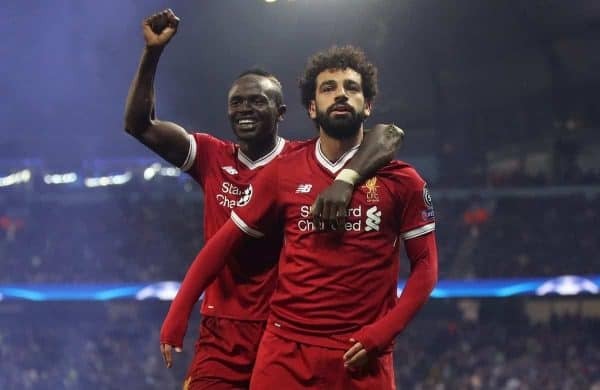 The Reds scored 47 goals in 15 European games last season, a record for the Champions League, with Salah and Firmino scoring 11 each and Sadio Mane 10. It was the first time one team had three players score eight or more in a single campaign. 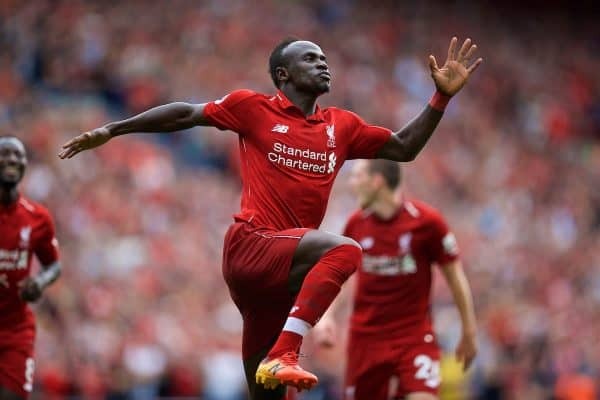 Mane has scored 10 goals in his last nine European games and netted in each of the Reds’ last three. Should he score tonight, he will become only the fifth different Liverpool player to score in four in succession in Europe and the first since Steven Gerrard did so in five in 2007-08. 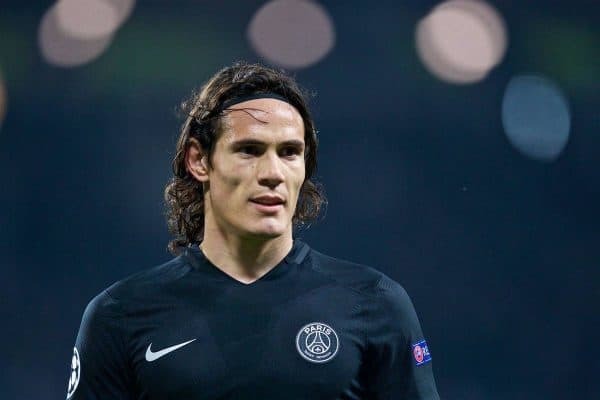 Edinson Cavani has scored four times in his last seven appearances against English clubs for PSG but did not score in either of his two games against Liverpool while with Napoli in the 2010/11 Europe League tie. 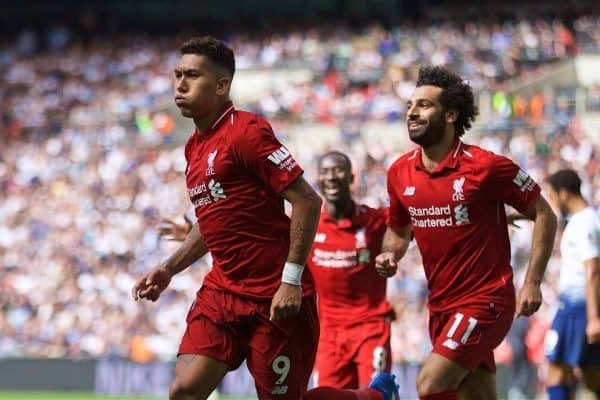 The front three of Liverpool and PSG scored a combined total of 180 goals for their clubs last season: Liverpool 91 (Salah 44, Firmino 27, Mane 20) and PSG 89 (Cavani 40, Neymar 28, Kylian Mbappe 21). 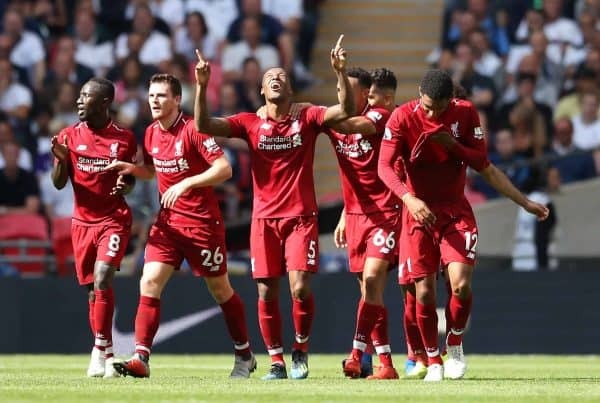 They have already scored 19 between them during this campaign—so 199 in total since the start of last season: Liverpool 99, PSG 100. 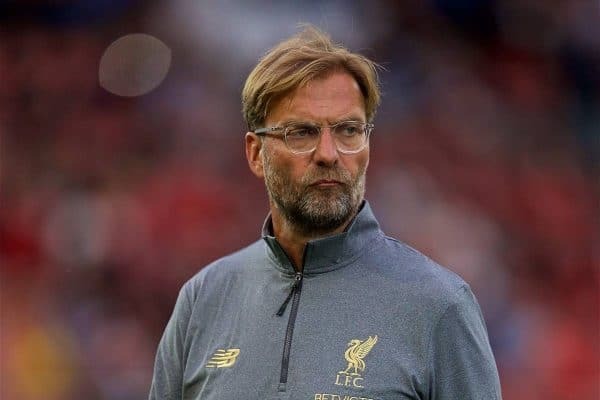 Jurgen Klopp has suffered four defeats in 28 European games in charge of Liverpool and is three goals short of recording 50 in this competition while with the Reds. Those 28 games have seen his side score 64 times. Klopp faced PSG while with Dortmund, drawing twice in the Europa League in 2010/11. 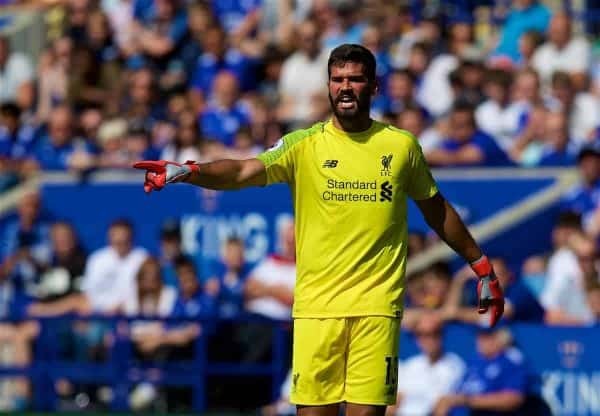 Alisson finds himself in the unusual position of playing his last game in the Champions League against Liverpool and his next game in the same competition for the Reds. Fabinho reached the semi-final of this competition in 2017 with Monaco before losing to Juventus home and away. Mbappe was a teammate of Fabinho while current PSG ‘keeper Gianluigi Buffon was in the Juventus goal. The Reds have won their last five games (all league games this season). They last won six in a row in a sequence of nine between February and April 2014. Liverpool have lost one of their last 32 Anfield games in all competitions, to West Brom in the FA Cup in January. Between them this season the two teams have played 11 and won 11 in all competitions. The referee for this game is Cuneyt Cakir of Turkey. He has taken charge of Liverpool once before: the 4-3 home win over Borussia Dortmund in the Europa League in 2016. The Dortmund coach that night…Thomas Tuchel. Cakir officiated Paris St Germain in their 3-1 defeat at Bayern Munich last season. He also took charge of the 2015 Champions League Final between Barcelona and Juventus. Liverpool: Mane 4, Salah 2, Firmino 2, Milner 1, Sturridge 1, Wijnaldum 1. Paris St Germain: Mbappe 4, Neymar 4, Di Maria 4, Cavani 3, Weah 2, Diaby 1, Draxler 1, Nkunku 1, Rabiot 1.